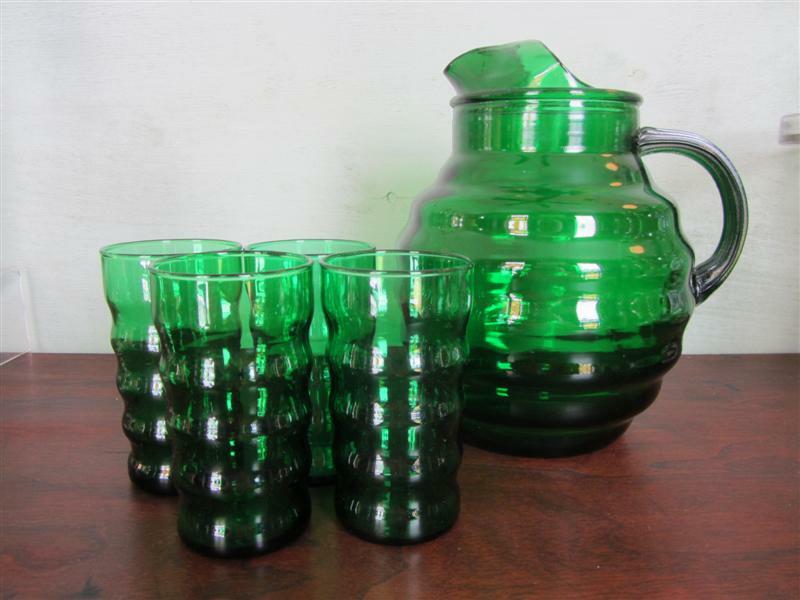 Fabulous Forest Green Pitcher and Tumbler set in the a “Ripple” Pattern. Anchor Hocking Glass Company produced this Forest Green from 1950-67. There are four tumblers that hold 9 1/2 oz and the pitcher holds 86 oz. All five pieces in great condition with no cracks or chips. Ready to serve up whatever you are making! Priced at 80.00 for the set.